Ultrasonic pitches embedded into TV commercials or in ads served in a computer browser have the ability to connect with other devices. The human ear cannot hear the sound, but technology within the device can. While the technology could help brands better target ads as consumers move across media and channels, offline and online, some industry groups believe it's time to draw the line. The Federal Trade Commission held a workshop recently to discuss some practices involving the tracking of consumers across Internet-connected devices and related consumer protection issues. FTC Chairwoman Edith Ramirez says there are concerns about the techniques that collect data passively across devices online and how those techniques are increasingly hidden from consumers. Joe Hall, chief technologist for the Center For Democracy and Technology, spoke about audio beaconing -- an ultrasonic identifier embedded in devices that other devices could listen for and connect with to initiate an action. There are few user controls to stop this from happening, he says. "We would need to find a way to make browsers not emit sounds that humans cannot hear." Alternative methods are also cause for alarm. Emerging cross-channel tracking technology, such as audio watermarking, and various patent filings with the U.S. Patent and Trademark Office (USPTO), allow brands to unknowingly listen in to the events happening in someone's physical space through software and microphone in a standard smartphone. Some advertisers play audio watermarks -- a high-pitched audio sound that most people cannot hear -- during TV commercials. That permits an open microphone on an Android device to detect whether someone using the device heard it from a commercial the person is watching on TV, Bill Slawski, SEO by the Sea founder, told Media Daily News. "It's a way to track offline behavior with online behavior," he says. The brand can verify that the commercial played and associate it with the ID on the device to see if a search or purchase followed. The USPTO granted Verance a patent earlier this month for a system that uses a watermark embedded in an audio signal to remotely control a device. Various devices such as toys, computers, and appliances, equipped with an appropriate detector, detect the hidden signals that can trigger an action, or change a state of the device. Slawski points to a patent from Silveredge describing a method and system for cross-device targeting of users using audio watermarks. Silveredge's method includes broadcasting media mixed with an audio data stream to one or more electronic devices, where the audio data stream contains an identifier. It also includes receiving the audio data stream on at least one device. The tech deciphers the identifier from the audio data stream, and sends one or more messages to at least one communication device. Slawski says the microphone on a smartphone stays on all the time. "I have a Nexus 6 Android phone, running Android 6.0, and if I go into settings, there isn't a microphone permission for a number of things like 'phone,' but there is for 'voicemail'," he says. Every app running on Android asks for explicit permission to use things like Microphone, according to a Google spokesperson. "It is always off until the user grants permission to use it," per the spokesperson. Apps running on operating systems prior to Android 6.0 Marshmallow, which started rolling out in October, would request that permission at the time of installing the app. Apps running with M and above will request it in real-time before the microphone is turned on. While a microphone may remain dormant while waiting for a command, it's just one more piece of technology along with the always-on Microsoft Kinect and VISIO SmartTV that do something similar. 2 comments about "New Tech Tracks Ads Cross Device, Raises Privacy Concerns". Ann O'daniel from Experience Branding, November 27, 2015 at 5:29 p.m. I should say it raises privacy concerns! Sounds human ears cannot hear but technology (brands) can? CREEPY! Linda Cardwell from SilverEdge, November 30, 2015 at 11:25 a.m. I believe you have mentioned the wrong company and website. 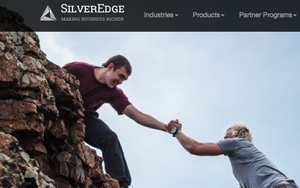 We are SilverEdge at gosilveredge.com and we are a business solutions company that specializes in credit card processing and the sale of point of sale systems for small businesses.